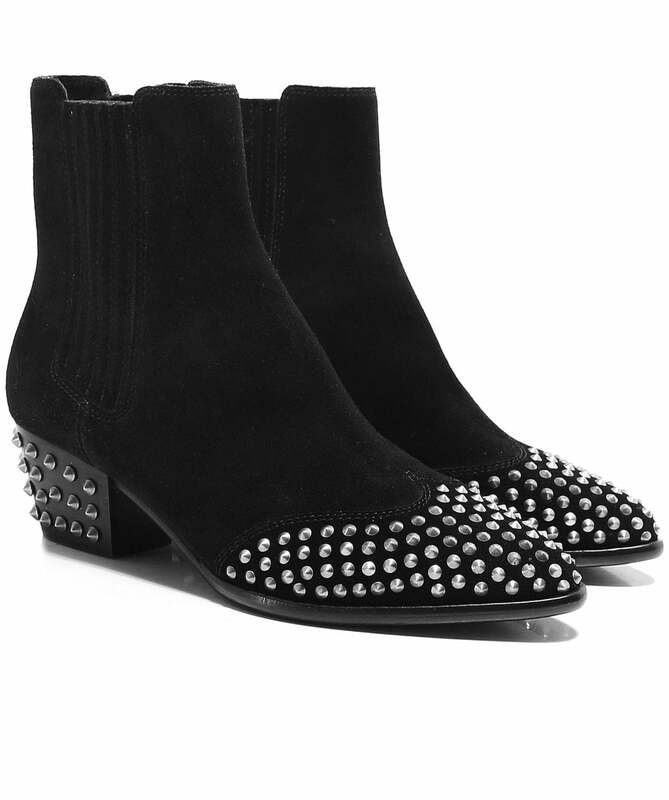 Add a distinctive finishing touch to everyday ensembles with the Ash Hook studded ankle boots. Expertly crafted from super soft suede, these slip on boots have a pointed toe and block heel adorned with silver studs for a cool modern aesthetic. Style your Ash boots with skinny jeans or dresses for an effortlessly stylish everyday look.